It is "a long story" what I first listened from Anat Fort. I really meant it in both perspectives. The name of the first album I get from the talented pianist and composer based in New York (born in Israel) was 'A Long Story', which is a release from ECM in 2007. On the other hand, what I started to feel within the first notes of this amazing album is a long story whose abstract will be given in this text. I don't remember what I was doing before inserting the CD to the player or what happened next after the 56 minutes and 50 seconds have passed. All I remember was a huge present given to me. I again meant it in both perspectives. The music was like a gift. On the other hand, it was a great feeling of "just now" which captured my soul. This feeling was not an instant one. The contradiction between the naive texture and manifest-like main theme sounding like a Nordic tune pushed me to look at the name of the first piece. It was 'Just Now Var I'. Later on I would learn that this pretty art-work was crafted just two days before the band is going into the studio. On seeing there are two more variations based on the same theme both in the middle and in the end, I got the main message: Just now, what life taught to the composer turned into music and this music will create life again. There is no regret for past and no anxiety for future. It's like Maxwell's equations of electromagnetic. Electricity produces magnetic field and magnetic field produces electricity. This inevitable conversion goes on forever with speed of light without thinking the past or future. 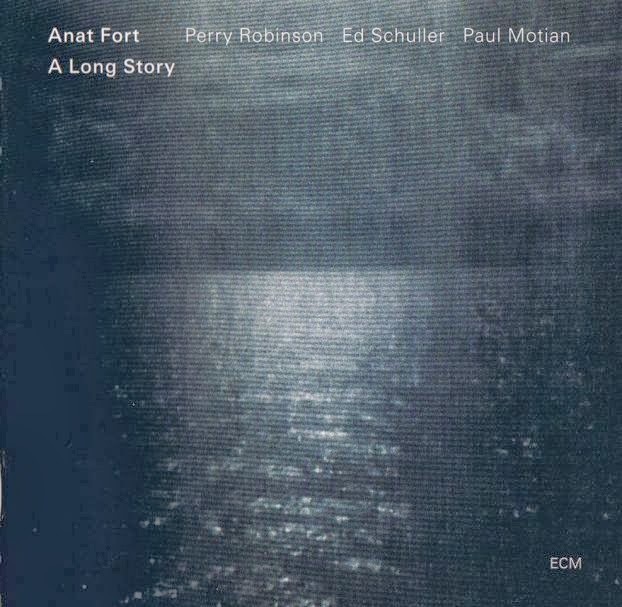 Paul Motian has played with Anat Fort in this first ECM album of hers. Easier said than done, we are talking about a matching not only with the highly reputable drummer of unforgettable trios of jazz history such as Bill Evans Trio and many other collaborations such as the one with Paul Bley and Keith Jarrett, but also with the heroic contemporary music producer Manfred Eicher. 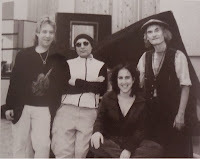 It is not difficult to guess that the recording sessions in 2004 and post-production process thereafter were all dreamy days for Anat Fort. Well, when I listened to the compositions such as 'Morning: Good', 'Lullaby' and solo piano performances such as the one in 'Just Now Var II', I thought: "She deserves the best of what's available." Considering that Anat Fort is accompanied by Ed Schuller on bass and Perry Robinson on clarinet, we may say that she rightfully got a dreamy line-up. The impressive melody in 'Just Now Var I', the bass solo in 'Morning: Good', the bass and clarinet introduction in 'Lullaby' meet us in the beginning. Avantgarde-like style duo performance of 'Chapter Two', which is a collaborative composition of Anat Fort and Perry Robinson is located after these three touching numbers of the album. As I just mentioned above, the piano solo performance in 'Just Now Var II' is a real shiny one. Not surprisingly, Paul Motian is a world class touch to all pieces he played. Especially his locomotive character in 'Rehaired' is among highlights of the album. We are learning from liner notes of the album that Paul Motian has not made any rehersal with the rest of the band. 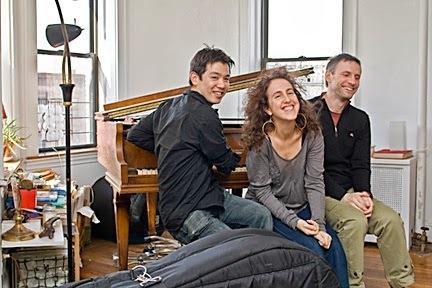 Besides the successful collaborative improvisational parts presented there, we see one more important fact in the number 'As Two / Something 'Bout Camels': Anat Fort is very good at composing within catchy melodies possibly thanks to her culturally rich Middle East roots. The energetic solo introduction made by Paul Motian in 'Not The Perfect Storm' is as impressive as what Ed Schuller and Anat Fort did to produce a really tensional aura resembling to a stormy weather in the middle of a sea. Yes, the storm is not perfect. Its power is unstable. 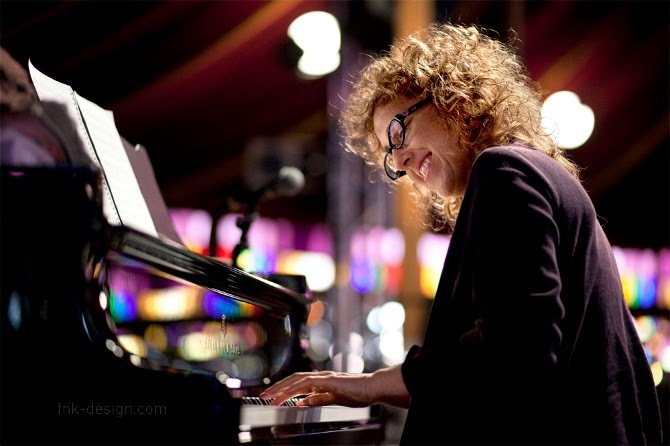 'Chapter One' is a calm piano solo in which Anat Fort's classical music education as well as her experience in improvisation & jazz can easily be seen. The end of the album comes with a third variation to 'Just Now', whose main theme is assigned to clarinet instead of the piano in first variation. The second ECM album 'And If' came in 2010 with a trio of different line up: Gary Wang double-bass and Roland Schneider drums. We are learning from the information in her webpage that this trio is her ten-years-old band which has taken stage many times on jazzland. As a memorial dedication and an indicator for Anat Fort's admiration to the musician, the entrance and the exit to the album are attained by two performances for the same tune carrying the Paul Motian's name: Paul Motian (1), Paul Motian (2). After an abstractive and calm performance based on nuances and tails of the sounds in 'Paul Motian (1)', 'Clouds Moving' presents an hopeful and energetic area for the listener. The overall sound in here - like it is so in the whole album - is very organic thanks to the long-established band. No musician is dominant compared to others and no specific instrument is pushing you to get attention. It is even hard to concentrate on any individual performance because of their irreducible organism. The rise and falls in the tension of the music are accomplished together in a very harmonious way. The beautiful and melancholic main theme in the piece 'En If' is something prepared by Anat Fort directly for listener's soul. Some recursive riffs on the piano signals the beginning of another catchy tune which is called 'Some'. Gary Wang (following an individual path from time to time) and Roland Schneider (creating interesting and minimal performances on the drum set) are proving here how nice matchings they are for Anat Fort. We hardly notice the transition to 'Something 'Bout Camels' which was performed together with 'As Two' as the 8th number before in the previous album. This is again a very successful performance started with an indecisive introduction followed by an impressive presentation of the main theme. Gary Wang's bass solo near the end and the repetition of the mystical aura of the introduction thereafter are all very touching. The next very short piece 'If' is a very unique one with Roland Schneider's energetic movements over the drum set inconsistent with the minimal piano and bass line. 'Lanesbora' is going on almost from where Anat Fort left the piano in the previous piece. This time the brush-dominant drum performance gives a calmer feeling. The melodic bass solo in the middle and rich rhythm texture created by drummer are highlights of the performance. 'Minnesota' is again another nice tune from Anat Fort in which she decided to give stage mostly to her friends. The snare-drum & hi-hat dominant rhythms and the dignified body supplied by the double bass are certainly at top quality. The angel is beautifully singing from the piano above all this good stuff. The impressive rests of the piano in the short piece 'Nu' once again supplies a vast area especially for Gary Wang to travel on his instrument freely. As mentioned before 'Paul Motian(2)' gives a calm ending to this well designed and performed album. While I am listening to that album in 2013, I sadly remembered that Paul Motian passed away a year later after this release in 2011. Now I'm looking for two more albums of Anat Fort. The first one is 'Peel' from 1999 which includes Anat Fort's compositions and some solo performances as well as some other trio and ensemble ones. The second one is an ECM album. I don't have any idea whether it is composed, designed or recorded but I believe ECM should release another album with Anat Fort. You know; music creates life and life creates music. It is obvious that this life goes on. Therefore this spiritual pianist will compose and play as long as she breathes.